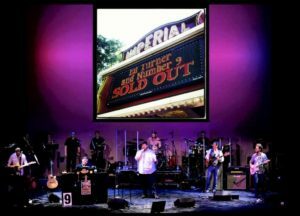 March 1st & 2nd, 2019 | 7:30 PM - 9:30 PM | The Imperial Theatre Seats are selling fast for the Ed Turner and Number 9 concerts March 1st and 2nd at the historic Imperial Theatre. Great classic rock benefiting the Imperial and Augusta Animal Services. Great seats are still available…but not for long. It’s going to be a party! Tickets: $20 - $50 Get the great seats you deserve online HERE or by calling 706-722-8341.